Tammy Meeker grew up in Annapolis, Maryland and got her Bachelor’s in Aviation Technology from Purdue University. She worked as a flight instructor and corporate pilot until taking a job as a commercial pilot for American Airlines. Tammy worked for American as a pilot for twenty-five years, flying all over the continental U.S. as well as to Mexico and Canada. In 1994 she become one of just a few female captains in the company’s history. She and her husband, who was a captain at Northwest Airlines, were featured on the cover of Aviation Lifestyles magazine in December of 1994. 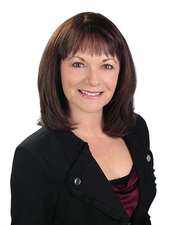 Tammy, now retired from airline life, has joined EXIT Realty Elite as the office administrator in Southlake, Texas. She brings with her a wealth of knowledge from her career as an airline captain, where she used her problem solving, organization, team management and people skills to get her planes and passengers from take-off to landing safely and efficiently. Tammy is excited to use these skills to support, aid and guide EXIT’s agents to become the very best they can be. Tammy chose EXIT because of its family feel. She believes that agents should feel happy, supported and looked after by their brokerage and hopes to bring that feeling to every one of her agents. Tammy enjoys spending her spare time with her two children and her friends. She loves to travel. Some of her favorite places include Italy, The Caribbean, and Japan. Tammy also enjoys gardening, volunteering at her local church, and spending time with her bangle cat, Tanner. Interested in joining EXIT Realty Elite? Call Tammy Meeker today!